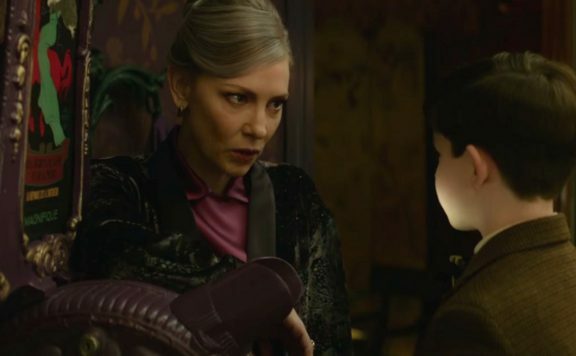 Aaron Neuwirth reviews A House with a Clock in Its Walls, a kid-friendly horror feature directed by the usually not kid-friendly Eli Roth. I’ve had a fondness for horror movies since I was very young and found myself terrified watching Michael Jackson’s “Thriller” on TV. How very fitting that the legendary music video turned out to be the opening act entertainment* for The House with a Clock in Its Walls, a horror-fantasy film perfectly suitable for young adults. Working under Steven Spielberg’s Amblin Entertainment brand, director Eli Roth jumps into territory previously occupied by the likes of Joe Dante (Gremlins), Richard Donner (The Goonies), and Frank Marshall (Arachnophobia), among others, for a film about an eerie house, and the witches and warlocks who reside inside. 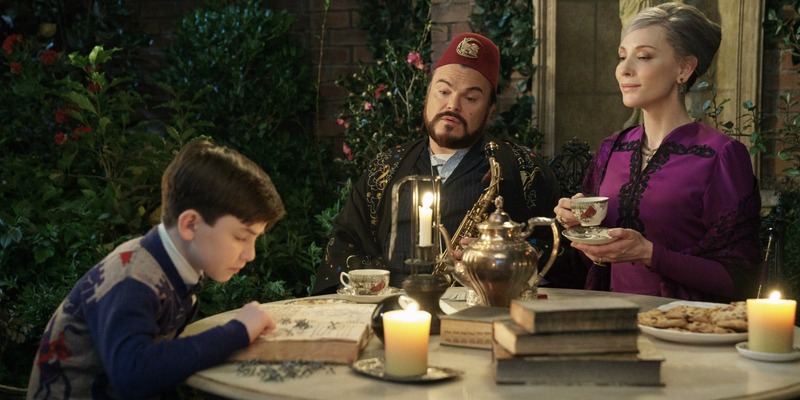 Set in 1955, the story involves a young orphan, Lewis Barnavelt (Owen Vaccaro), who moves to the town of New Zebedee, Michigan, to live with his eccentric uncle Jonathan (Jack Black) in a creaky old house that comes to life. An armchair acts like a dog, a wardrobe can help pick out your clothes, a stained glass window can change on the fly, and a giant snake lives in one of the rooms. There’re all sorts of magic things going on within this house. 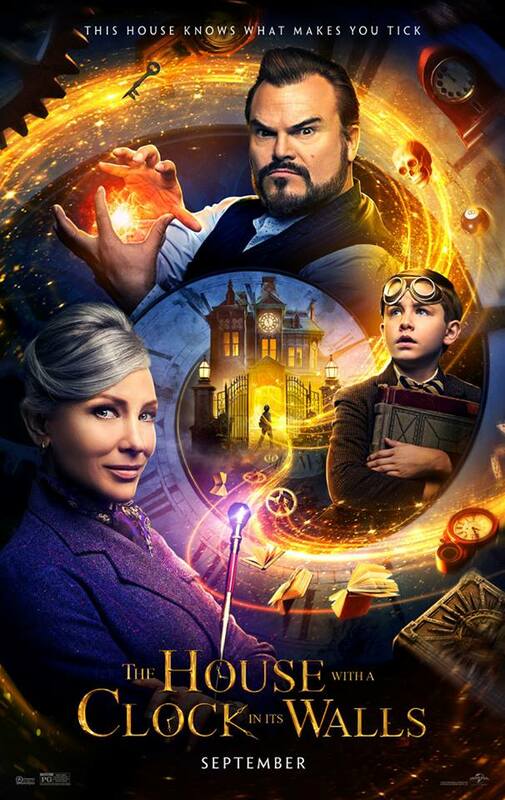 Based on the 1973 novel by John Bellairs (the first in a 12-book series), The House with a Clock in Its Walls doesn’t stray far from a familiar formula seen in the many post-Harry Potter attempts to cash in on young adult fiction, but there’s still plenty of fun to be had. So, a plot does unfold at a fairly zippy pace, but with a sense of wonder kept in mind. The most important factor for any adult looking to show their children a good time with this film is that Black, Cate Blanchett, and Kyle MacLachlan play witches. That sounds like an enticing proposition, and it turns out to be precisely that. 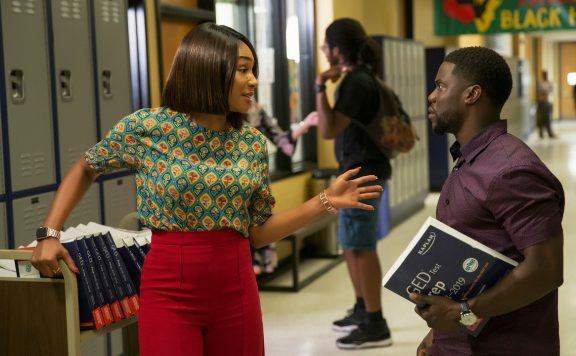 It doesn’t hurt to see a nicely told tale about finding confidence in yourself and overcoming adversity, standard stuff for a kid-friendly film, but with the adult actors putting so much into their arch-filled performances, the film has plenty of spark, not to mention the house in question. If seeing Black and Blanchett throw magical fireballs around and trade insults with each other aren’t enough, the production design by Jon Hutman, in addition to the art and set decoration, as well as the costume design, should add that extra something for audiences. One could almost forget how the film barely ventures outside of its one main setting, as the house is such a terrific cinematic creation. It looks and feels big, with Lewis continually being involved in discoveries for the audience. Whether it’s a library full of flying books that evokes Hitchcock’s The Birds or a backyard that, at night, becomes the coolest version of a magical observatory that I think I’ll ever see, here’s a film that knows imagination is key to delivering a good time. 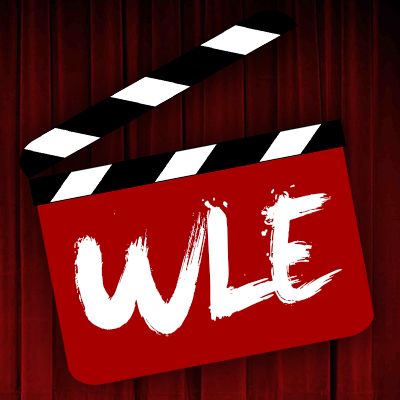 Perhaps the script by Eric Kripke (Supernatural) leans a bit too hard on the school subplot, where Lewis attempts to befriend a classmate (Sunny Suljic), but the rest of the film has plenty to offer. Do you want a haunted house movie? Some nice set pieces deliver on that. Magic battles? The third act provides, making sure an emotional payoff comes with the spectacle. If this film came out in the 80s/early 90s, it would have all the nostalgic love afforded to plenty of movies I think lesser of. 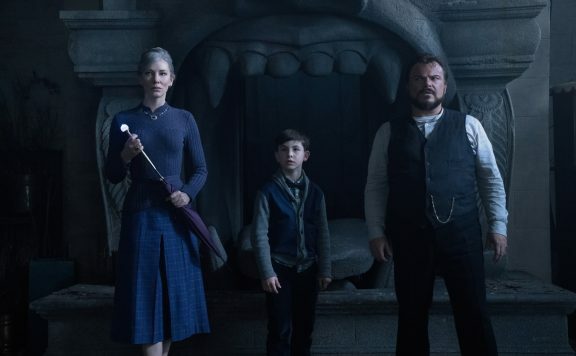 The House with a Clock in Its Walls works as a horror-comedy with lots of fantastical elements, and that’s a very good thing. Black and Blanchett are a lot of fun here. Vaccaro works well enough as the young lead. And you have MacLachlan (sadly buried in makeup) doing his best to be a strange antagonist. 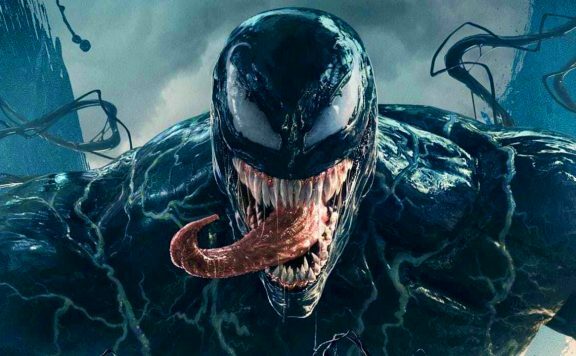 Evil puppets and pumpkins that come to life allow for some thrilling sequences appropriate for the film’s target audience, and there’s enough emphasis on the sound design to make sure a ticking clock element is continually hanging over characters’ heads. Whether or not we see The Figure in the Shadows, just know I wasn’t checking my watch while immersed in this spooky domicile. *The House with a Clock in Its Walls will be playing Michael Jackson’s “Thriller” in its IMAX showings for its first week of release. It’s worth the price of admission, but fortunately, the film was delightful as well.